The city of Denver has released more than 28,000 packages of marijuana-infused edibles back into the market after recalling the products late last year when they tested positive for pesticides that are banned for use on cannabis. But Denver officials say that while they recalled the products in the wake of the executive order, they released certain low-level batches after the city attorney’s office verified that “the XO (executive order) doesn’t tell us, the city, to do anything,” said Dan Rowland, spokesman for Denver’s Office of Marijuana Policy. The released pot edibles, made by EdiPure and Gaia’s Garden, contain trace levels of banned pesticides, amounts that are below the lowest allowed on food. The releases are the first time Denver has allowed recalled pot products back into stores. The city agency behind all 19 pesticide-related recalls of marijuana products, Denver’s Department of Environmental Health, is confident the released products are safe for human consumption, Rowland said. State agriculture officials say that although Hickenlooper’s order is “zero-tolerance” for the use of unapproved pesticides, it’s difficult to measure zero in the lab. “Denver is proceeding with their own investigation based on their local health powers,” said Mitch Yergert, director of the division of plant industry for the state Department of Agriculture, which regulates pesticide use. The state is unable to enforce the executive order because it has not developed standards for certifying labs to test marijuana products for pesticides, officials say. There are 17 private labs licensed by the state to test marijuana products for potency, residual solvents and contaminants, but not pesticides. Although state law mandates pesticide testing, it has not been enforced because of the lack of certification. The state Department of Public Health and Environment said it plans to begin certifying labs for pesticide testing in six to 12 months. 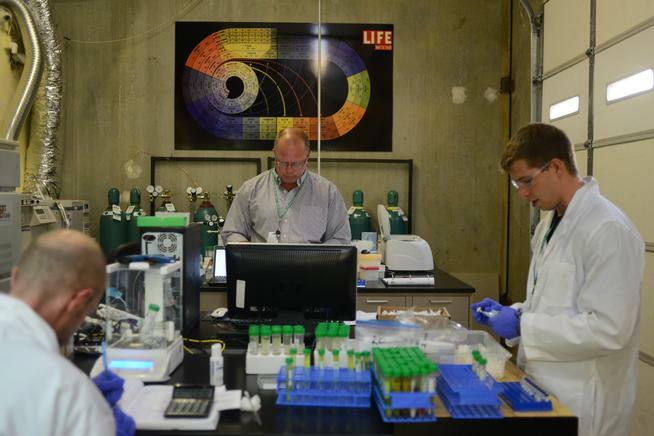 Denver’s exclusive lab-testing partner, Gobi Analytical, lacks state certification for measuring pesticides. EdiPure and Gaia’s Garden each issued multiple voluntary recalls after city health inspectors found banned pesticides in the companies’ edible products. The city’s recent release includes 24,606 packages of EdiPure edibles and 4,137 units of Gaia’s Garden infused candies, only a portion of what initially was recalled. EdiPure — the first company to have recalled products released into the market — said the release of their product was a boon for business. Voicemails and e-mails to Gaia’s Garden managing partner Eric White were not returned. In December, EdiPure attacked Denver and Gobi, calling the lab’s testing methods dubious. Gobi officials responded by saying the lab utilizes industry standard equipment and methodology. Now others have joined in criticizing Denver’s pesticide enforcement. When OpenVape partner Organa Labs became the subject of the city’s 17th and 18th pesticide recalls in late January, the company responded with a scathing indictment of the city’s recalls. The cannabis industry’s complaints had nothing to do with Denver’s decision to release products, the city’s Rowland said. Ron Kammerzell, deputy senior director for enforcement at the state Department of Revenue, spoke to Denver’s unusual pesticide predicament. Mandatory tests can happen only when labs are certified to do the testing, Kammerzell said. The state is also about to begin checking that lab results are uniform. Until then, Denver’s environmental health department will continue with its pesticide investigations, the city’s Rowland said.